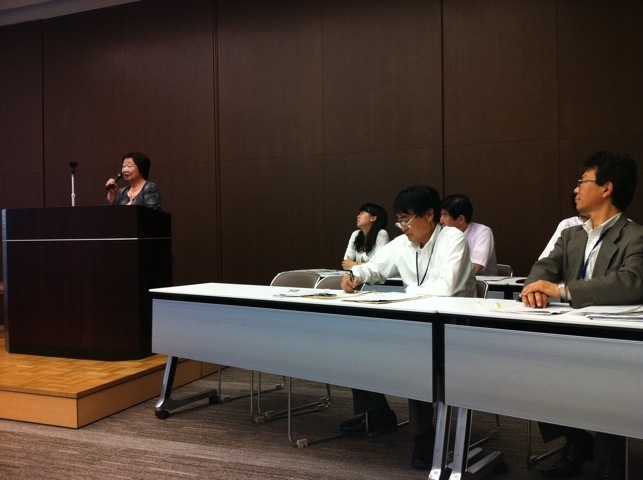 Chiba International Convention Bureau held their 23rd seminar for all region International relations Association/NGO, NPO’s on Thursday, June 6th, 2011 at Chiba Prefecture Municipality Building in Chiba City. Many speakers presented information on what and how their offices contributes to assisting foreign residents, foreign countries in various ways, donation and helping with environmental issues to improve friendship and communication. The first speaker was a lawyer from Abiko Legal Office who spoke in-depth on some legal areas which foreigners are sometimes must seek legal advice to resolve. Mr. Shinya Tsuji, Attorney at Law introduced legal services, PR efforts and foreign Advisory sections which are available in each city. Second, representatives from Chiba Convention Bureau and International Center, Ms. Fumiko Suzuki and Mr. Mitsuhiro Mesuda both gave information on how their office continues to aid with foreigners, while working to promote exchange with the Japanese and foreign community. Third, JICA representative, Asuka Shibuya from the Community Partnership Divison of Hiroo Center, spoke on the various project contributions to Vietnam, Hanoi city. Fourth, Alay Kapwa Fellowship Japan representative Ms Nobuko Kato, spoke on how this group contributes to helping the Philippine Island. She mentioned three main focus of her organization which are: 1.sponsoring food programs 2. Helping children to entry schools 3. Selling handmade crafts/products made by children at Bazaars in Japan. Fifth, Representatives from Chiba Prefectural Government office also gave a brief presentation on how Chiba prefecture continues to promote International Relations with other International Relations Office in Wisconsin and communications with Germany. In general, this seminar was effective in presenting PR information on each NGO/NPO, International Association Office their focus and contributions. Unfortunately, the ideas of how effective are these contributions, or ways to improve better communication with foreign residents were not an extreme part of the discussions. A surprising point is this; I was the only person from a Western background who attended this seminar. As a foreign resident in Japan, based on my experience I believe it is extremely important for more foreign residents to attend such seminars. This is a good opportunity to express our opinions on various issues about our lives in Japan.